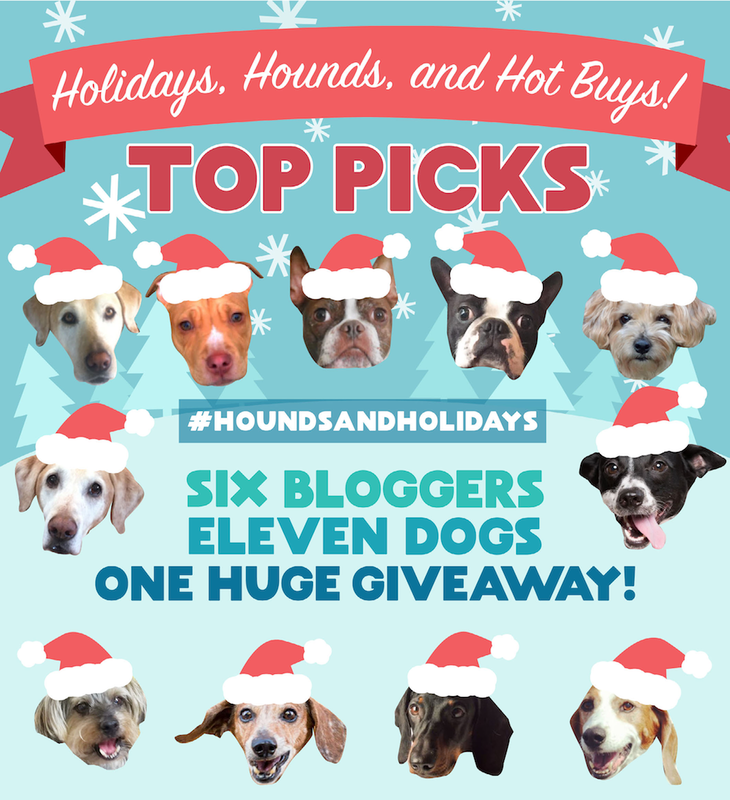 It’s finally here – the first annual Holidays, Hounds and Hot Buys Gift Guide & Giveaway #houndsandholidays! The giveaway launches today, Friday, November 25 and runs through Friday, December 9. 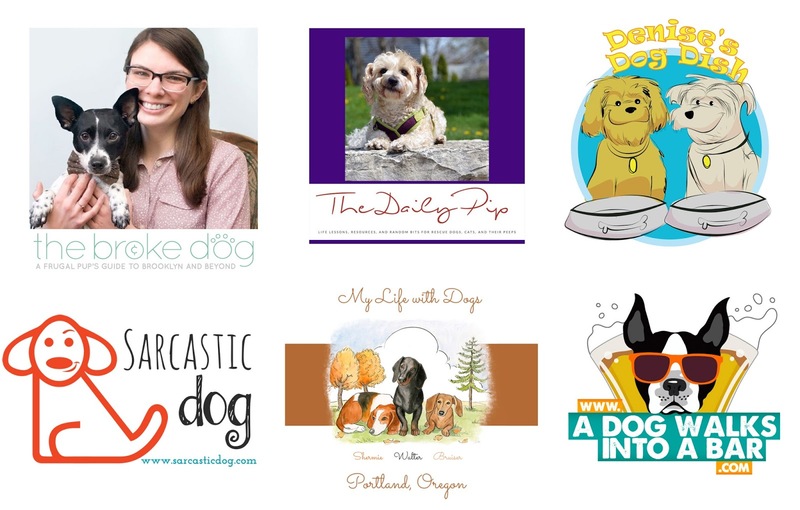 You can enter on each of the participating blogs – Sarcastic Dog, The Broke Dog, My Life with Dogs, A Dog Walks into a Bar, Denise’s Dog Dish and here on The Daily Pip – for more chances to win. We have five giveaways based on different themes with prizes valued at almost $2,000. These giveaways are only open to U.S. residents, 18 and over. Winners will be selected at random and will be notified within 48 hours. Follow fellow bloggers on Instagram – @sarcasticdog, @dailypippip, @a.dog.walks,into.a.bar, @thebrokedog, @denise_gruzensky, and @mylifewithdogspdx for more information on the main giveaways as well as flash giveaways #houndsandholidays. In addition to providing the prizes for the giveaways, participating brands also donated product or made financial contributions to Best Friends Animal Society, the only national organization focused exclusively on ending the killing of dogs and cats in America’s shelters. A leader in the no-kill movement for more than 30 years, Best Friends runs the nation’s largest no-kill sanctuary for companion animals, regional centers in Los Angeles, Salt Lake City, and New York, as well as life-saving programs in partnership with rescue groups and shelters across the country. Treats & Food – stocking stuffers valued over $300! Disclaimer: The Daily Pip received many of the products in this guide in exchange for an honest review. We did not receive monetary compensation to review or promote any of these products. We only accept products that we use ourselves or believe our readers will enjoy or find useful. Sounds like a great giveaway. I'm in! Wow! Those are some great giveaways!! I would love to win the treats & food one because our dog loves her treats! All the prizes look great but if we had to pick one it would be the Treats and Food package. This is AMAZING! What awesome prizes you all have put together. I would like to win the Holistic Goodies package, as I think my senior pup would benefit greatly from this. This is so fun and festive, and everything looks amazing! That sure is a whole big bunch of nice goodies! We are SOOOO excited to be part of such an AMAZING giveaway with you! I think I would like the Treats and Food pack the best. My "grand dog" would love the package. Wahoo! So excited to have collaborated with you!! Wow, that is a lot of stuff. What a great holiday giveaway! This is so cool! I need this for kitties! these all look so great! we would love the food and treats prize! We would like to win the training gear to help us with our agility training and therapy dog work. That is a cool giveaway, I will spread the word. Mom says we'd like the travel gear but we think we'd like the treats best. Peeps have such strange ideas. I would choose the hollistic goodies, because I always like to use more natural things. We are definitely going to have to stop back when we have a few more minutes to spend filling out the forms…what an awesome giveaway!! I would choose the Not Quite DIY because I like the unique items that are included. Holy smokes! That's some super spectacular giveaway! Those are all wonderful prizes! I'd be thrilled with any of them. Love this! So many great things in each package! It's a toss-up between the Treats & Food pack and the Holistic Goodies one. I think my pack would like the treats and food the best, though. I would love the Holistic Goodies prize pack, as my dog is a senior and would benefit him the most. Great Giveaway! Nala and Cody would love to win the travel gear pack! Ellie and Kato would love to win the travel pack to use on our adventures! Definitely the travel goods one because we are taking a road trip in May! My pooches would love Treats & Food since they love to eat! They all look so wonderful. My dogs would like the first 3, with all the toys and treats, the best. I would love the Treats & Food prize because it contains toys meant for tough play. That is an item that I'm interested in for my one dog. Thank you! Wow, this looks really cool! Treasure and her pals would love the chance to win any of these great prize packages. Thank you for considering us! I think I would like the travel gear one because it ahs the most things I could use. Thanks! I think that "not quite diy" bag is perfect!!! All of these prizes are fabulous!! Treats & Food – we love kong and Chewy!! It's so tough to decide! I think the holistic package, though since we have a majority of seniors in our household! We would love the holistic goodies bag – I have a sensitive girl and that sounds like it's got great products! The travel gear for sure. There are all nice gifts though! I would love to win any of the packages. Wow! This looks like the biggest giveaway we've ever seen this year! 😀 It's like super lotto for dogs! <3 Who's going to be the luckiest pup of the year?! The holistic goodies, it looks like it has a ton of great stuff we haven't tried! This is such an amazing giveaway! We heard about it from The Broke Dog's Rochelle and Henry and are really excited to enter. My Maggie and Frankie would love the treats or the Not Quite DIY package if we win but they're ALL excellent! Have a great holiday! I would like the prize pack #5 for my senior dog. Anything that will help her feel more comfort would be comforting to me. I would love the travel pack so we could get up and go on an adventure, whenever and to wherever! Would love to win the holistic goodies for our dog because he has allergies! Skamp would like some dog treats!